CME credit available from Harvard Medical School through July 2019. The goal of this program is to educate prescribers about the most recent cholesterol-lowering guidelines, including the new risk groups, statin regimen intensity, and the pooled cohort 10-year atherosclerotic cardiovascular disease (ASCVD) risk calculator. 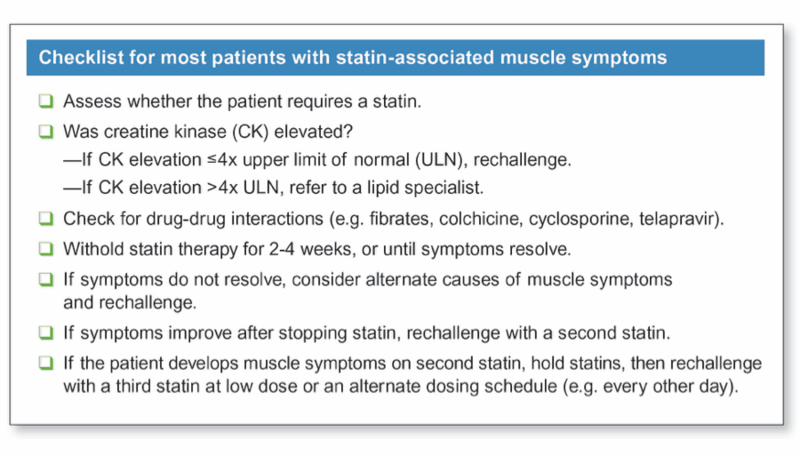 We provide management strategies for patients with statin associated muscle symptoms and discuss the evidence for ezetimibe and PCSK9 inhibitors. Statins are a powerful means of preventing cardiac events. The current guidelines base recommendations on preventing the cardiovascular outcomes studied in clinical trials, while previous guidelines focused on reaching specific LDL goals. As a result, patient risk and statin-intensity drive treatment recommendations. View testimonials from this module. 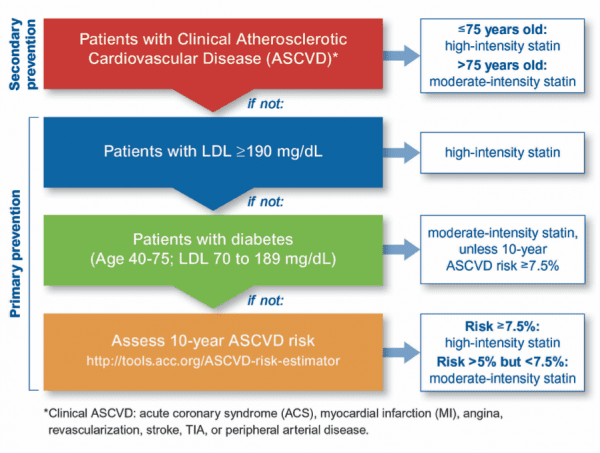 The 10-year ASCVD risk calculator includes the variables such as age, gender, cholesterol levels, smoking status and hypertension used in other risk calculators. However, race and the diagnosis of diabetes are new variables in the 10-year ASCVD risk calculator. Using the new calculator, patients with a 10-year ASCVD risk of 7.5% benefit from statin therapy. However, in patients with a lower 10-year ASCVD risk, a discussion about the risks, benefits and patient preferences may be indicated. Balance the risks, benefits and patient preference of prescribing a statin for patients with a lower 10-year ASCVD risk. One of the most commonly reported effects of statin therapy is statin associated muscle symptoms. These symptoms may occur alone or in the presence of biomarker (e.g. creatine kinase) elevations. When these symptoms occur without biomarker elevations, patients may be rechallenged with a statin. Multiple statins should be tried before considering a patient to be statin intolerant. For patients who do not adequately respond to statin therapy, despite good adherence, or are unable to tolerate any statin, ezetimibe and proprotein convertase subtilisin kexin 9 (PCSK9) inhibitors may be treatment options.3 Other therapies like fibrates, niacin, or fish oil have little or no role in preventing cardiovascular events in most patients. Information current at time of publication, December 2016. Stone NJ, Robinson JG, Lichtenstein AH, et al. 2013 ACC/AHA guideline on the treatment of blood cholesterol to reduce atherosclerotic cardiovascular risk in adults: a report of the American College of Cardiology/American Heart Association Task Force on Practice Guidelines. Circulation. 2014;129(25 Suppl 2):S1-45. Stroes ES, Thompson PD, Corsini A, et al. Statin-associated muscle symptoms: impact on statin therapy-European Atherosclerosis Society Consensus Panel Statement on Assessment, Aetiology and Management. Eur Heart J. 2015;36(17):1012-1022. Lloyd-Jones DM, Morris PB, Ballantyne CM, et al. 2016 ACC Expert Consensus Decision Pathway on the Role of Non-Statin Therapies for LDL-Cholesterol Lowering in the Management of Atherosclerotic Cardiovascular Disease Risk: A Report of the American College of Cardiology Task Force on Clinical Expert Consensus Documents. J Am Coll Cardiol. 2016.